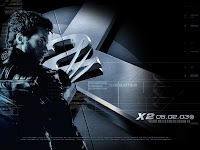 Twentieth Century Fox has entered bollywood following in the heels of other major Hollywood Film studios like Universal and Sony, to form Fox Star Studios. This is a joint venture between Fox and the Asian satellite broadcasting Star, both part of tycoon Rupert Murdoch's empire NewsCorp. Hope this venture will churn out better stuff than what Sony had to offer thru last year's super dud, Sawaariya. My personal feelings are mixed towards the live action category of films that will be produced from these stables, cos its pretty tough to get the Indian audience right. 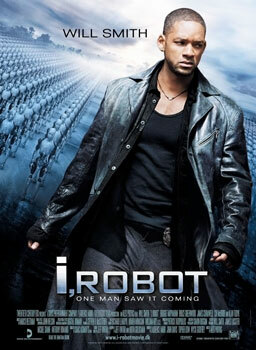 But with titles like Minority Report, iRobot, The TransporterX-Men etc Fox is a force to be reckoned. On the animation front though, the scenery looks quite rosy with Disney tying up with YashRaj house for their ani-flick, Roadside Romeo directed by Jugal Hansraj(of Mohabbatein and Masoom fame) to be followed by couple of more such features from various studios. I am quite looking forward to all the cool animation stuff they are goin to bring on. and Corporate Development of STAR India. Fox STAR Studios India plans to produce Bollywood and Indian regional films. It will also build a national theatrical distribution footprint and enhanced capabilities in the home entertainment and digital media platforms in India while also leveraging Fox Theatrical Network's global distribution strength across 44 countries worldwide. Hmmm... With Sly(arrey apna Rambo re! ), snoop dogg etc. etc being roped into the loop, seems like Hollywood is all ready to storm the Bollywood castle on the home turf this time ppl!!... Have fun! !